Experience Gliding With Adrenaline For Smooth Skyward Moves! If flying solo equals complete freedom, then gliding is the ultimate elevated experience. Taking control of your own custom-designed, high-performance aircraft in learn-to-fly events and joining gliding clubs to participate in racing competitions provides unmatched air-bound exhilaration. Adrenaline can place the aircraft controls at your command in a range of gliding experiences conducted by professional glider pilots at spectacular skyward settings. All walks of life are united in a combined force for naturally propelled aerial manoeuvrability and streamlined style when embarking on gliding experiences at Adrenaline. Gliders can fly for as long as the wind currents will carry them. These high-performance aircraft are powered at the mercy of the Mother Nature and depend solely on her empowering gusts of warm, high-altitude air. On optimum flying days, gliders are able to remain air bound from sunrise to sunset. 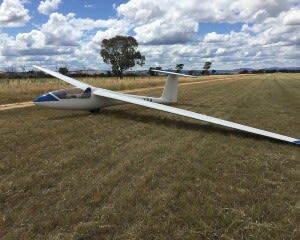 Introductory learn-to-fly and training sessions typically entail glider flights of between 10 minutes and one hour. When in training mode, gliding is usually offered as one longer flight or three short skyward stints. What do you wear to a glider? To be ready for all conditions, it’s best to dress warmly and comfortably. The generally early departures often mean that grass on the airfields can be damp, so you are advised to wear flat, soft-soled shoes that resist moisture. You should also wear sunglasses to avoid glare when taking control of your glider and bring a hat and sunblock in the summer months. Don’t forget to take your camera for before-and-after shots. Cameras are not recommended for carrying on board. It’s also advisable that you pack a drink and snacks, as there are no on-site facilities at the airfields. Where is the best place to go gliding? 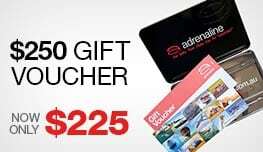 Adrenaline offers the best-selling selection of Gliding, Introductory Flight – Melbourne and Gliding, Deluxe Flight – Melbourne. Both packages disembark from the serene natural surrounds of Bacchus Marsh, which is a 50-minute drive from the Melbourne CBD. The introductory flight offers the chance to soar like and with the birds in your own custom-built two-seater glider. A clear protective dome covering the aircraft cabin provides a bird’s eye view on the tranquil scenery below. Following a technical and practical introduction session, a qualified instructor will tow you to your tow height (generally around 2000 to 3000 feet high). Prepare to be moved by the silence and serenity of your gliding experience — and don’t be surprised if an accompanying sea eagle decides to glide alongside your aircraft for the tandem ride. Your introductory gliding flight is up to 20 minutes, but the length of air time is determined by the prevailing thermals, which are currents of warm air that provide elevation. 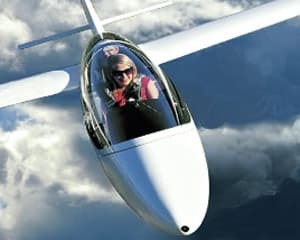 The Gliding, Deluxe Flight – Melbourne package takes to the sky from the same picturesque venue and provides an altitude of up to 4000 feet high. You’ll remain in the air for up to 30 minutes, depending on the conditions. Once you’ve experienced a taste of the elegance and gentle exhilaration of gliding, you’ll understand why this compulsive aerial sport is gaining in popularity. 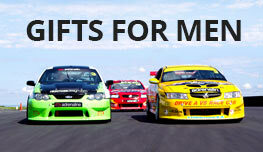 You can purchase these unique and unforgettable flight packages online at Adrenaline.